> Boating files> Replicating screens on board ! Replicating screens all around the boat! 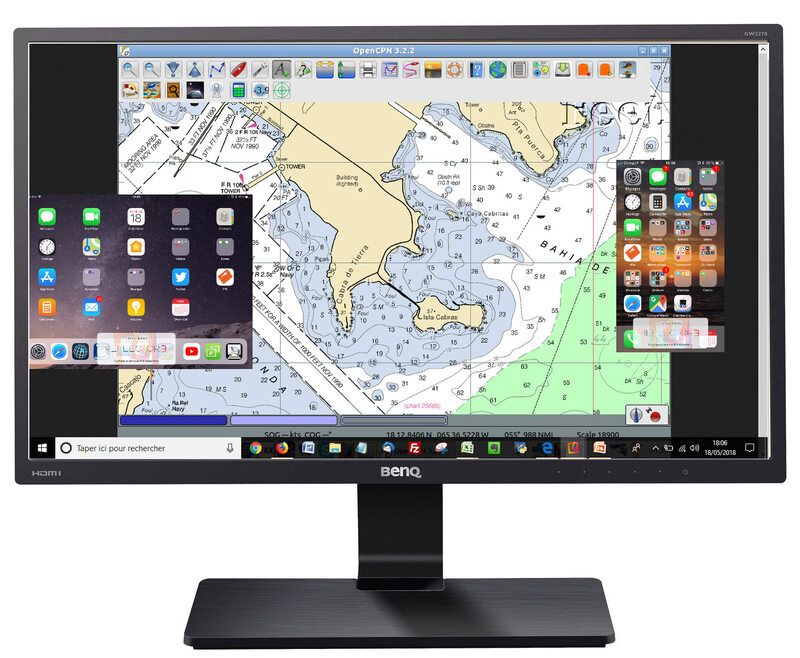 View the screen of a PC or a chartplotter on an iPad, or on the contrary an iPad on a PC or even a TV: there are many situations where one would like to be able to view the screen from one device to another on board a boat. We're reviewing the solutions! It is an undeniable fact: we spend more and more time in front of a screen... also in navigation! Need to check the boat's course, the route and possible dangers, to keep watch via AIS, to be informed of changes in the weather etc... According to his tastes and habits, each sailor chooses his "primary" screen for viewing this information: usually a computer, a chartplotter or a tablet. 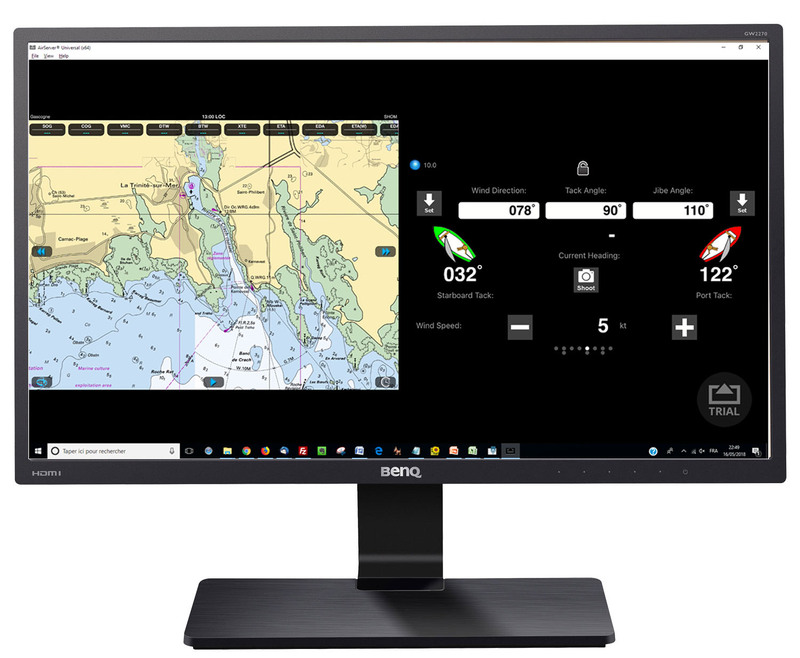 However, this main screen is not always positioned in the right place according to the activity on the boat: if the tablet can be moved easily, the same cannot be done with the PC or the plotter, which obliges us to keep going back and forth to the chart table or the helm station. There is however a solution: replicate the main navigation display to one or several other screens strategically placed in the boat! - we want solutions which work at sea and without internet access! Connecting a low-cost wifi router (less than 30€) greatly facilitates this connection. Almost any router will do, just make sure that it can be powered on 12V, or on 5V USB. In case you already have an Optimizer or an Iridium Go, they may be used as well! With the VNC software, just follow the tutorial mentioned above, but without having to create an Ad-Hoc network. The initial configuration is done entirely locally once the software has been downloaded: it requires neither registration on a remote service nor an Internet network, so that everything can be configured on the boat. With Splashtop software, initial configuration is slightly simpler because it will directly detect the IP address of the PC (no need for Fing Network Scanner app). However, it requires prior registration on the Splashtop's servers, even for purely local use. 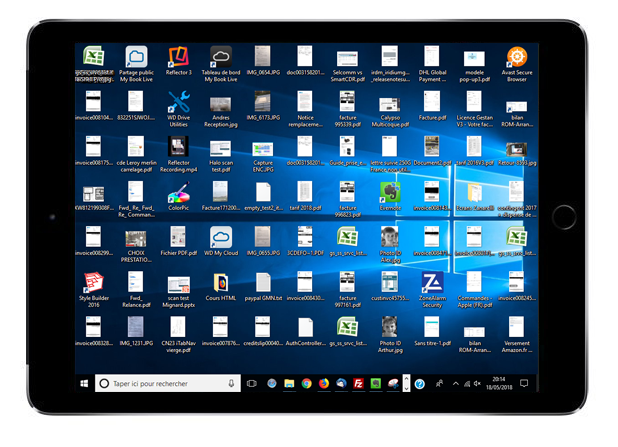 With either of these solutions, you can not only view the PC/Mac image on an iPad, but also have active access to the PC: open a file, launch a program, check emails etc! 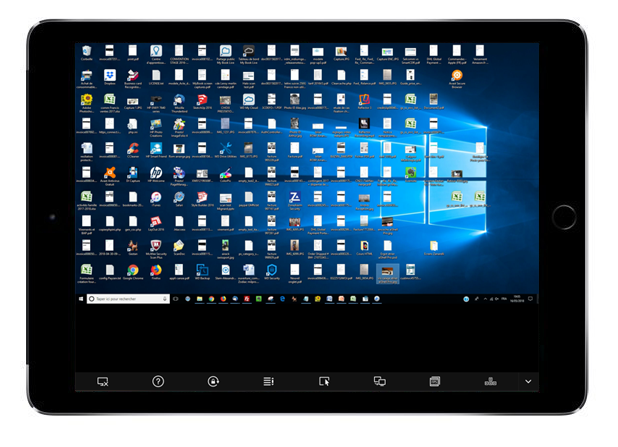 You can also connect several smartphones or tablets simultaneously on the computer, so that all share the same display! Note that in general the PC and iPad screens do not have the same format (16:9 for the PC, 4:3 for the iPad). 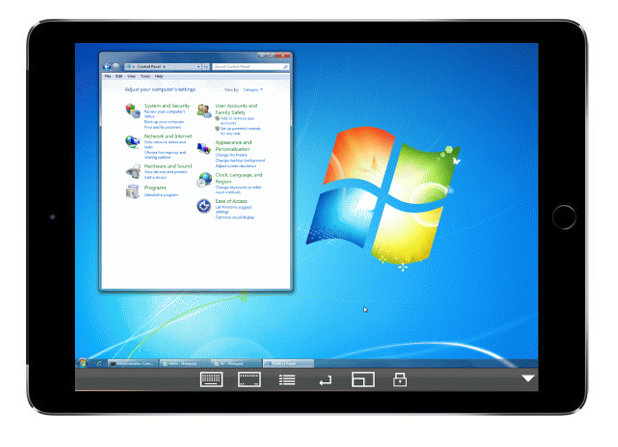 Splashtop offers an option so that the PC display adapts to the iPad format, even if it may cause the PC image to "look ugly". Mocha VNC adopts another strategy: the image shifts to the bottom left, but you can move it to view any missing parts! To test according to your preferences! - Follow from the cabin the display of a navigation tablet left at the helm, for example to allow the skipper to stand by while a crew member on watch is at the helm, or to keep an eye on navigation and the environment while cooking en route! - or why not, watch movies on the big screen at anchor! 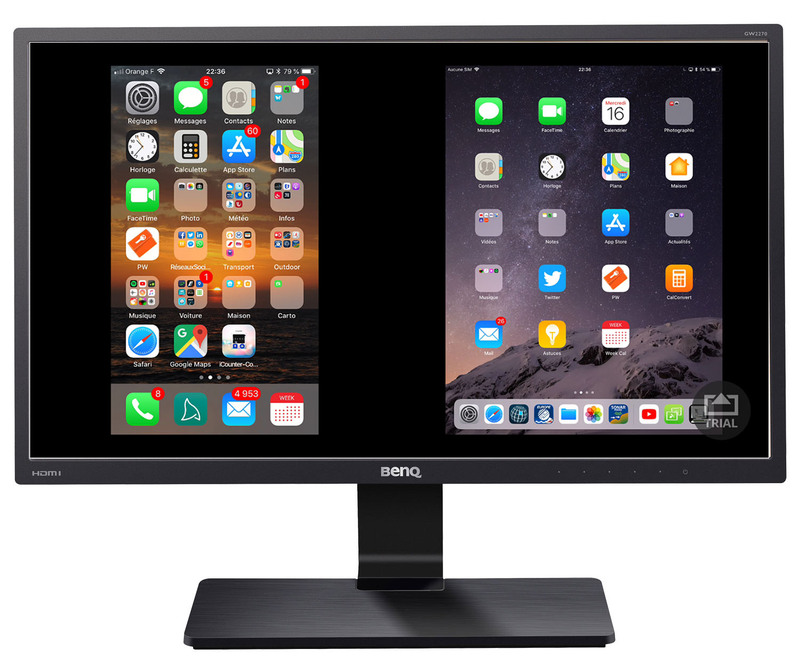 There are many mirroring programs dedicated to displaying an iOS or Android tablet on a PC or Mac computer. These include Mirroring 360, Reflector 3 or Air Server. These software are not free (about 10-15€/year) but you can test them for free for a few days before making your choice. Install Air Server on your PC, possibly checking that it is not blocked by your firewall (advice is offered during installation). Then make sure that the computer and the tablet are on the same wifi network, click on the dock of your iPad and tap " screen copy ". That's it! And if another mobile connects, Air Server will display it next to the first by splitting the PC screen in 2. There is almost no latency, i.e. any manipulation on the iPad screen is instantly visible on the PC ( you can even display live the camera of an iPhone placed outside for a visual watch !). - Unlike case N°1, it is a simple screen viewing without the possibility of remote control of the mobile phone. Same thing as case number two ! 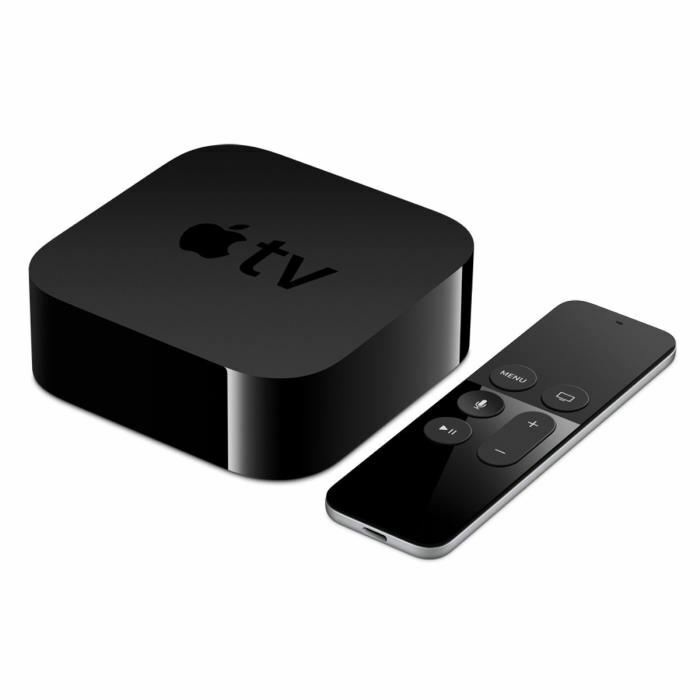 You will need an Apple TV connected to your TV (or any type of HDMI monitor). You also need a wifi router as in the previous cases so that the mobile and Apple TV are connected to the same wifi network. Once these prerequisites are in place, nothing could be easier: Apple TV allows you to make a video copy using the AirPlay function on your iPad! To do this, open the dock at the bottom of the iPad screen and click on " Copy screen ". To be noted: Unlike case 2, only one device can be sent to the TV screen. 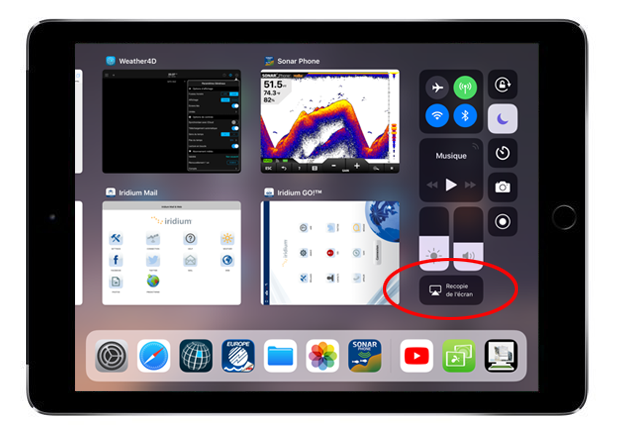 This is obviously the Grail for some of us, who would like to be able to synchronize the displays of 2 iPads between the inside and outside of the boat. Alas it is impossible for the moment! This requires a recent chartplotter, with built-in wifi or compatible with some proprietary devices like the Garmin GoFree. Refer to your plotter manufacturer's instructions. Attention in general the pixel resolution of a plotter screen is much smaller than that of an iPad, so the final result of display on iPad can be disappointing.